Kara's self-titled solo debut reveals her worshipful response to the joy and freedom that God has lavished upon her since her formative years. Undisguised is a fusion of danceable pop, electronica and exuberant worship-lyrics that point to God. Prodigiously talented and unashamed to speak the truth, Tonex returns with another category-defying set of explosive original songs. Unspoken mashes energetic club tracks with soulful R&B, gospel flavored funk and edgy rock and hiphop blends. Prepare to experience a revolution of the soul! Featuring worship leaders Lincoln Brewster, John Katina, and Martyn Layzell, this Promise Keepers collection includes "Praise You," "Be Lifted Up," "Hearts Courageous," "Revolution," "I'll a Servant Be,". Iowa-based metalcore quintet A Past Unknown takes heavy Christian music to new heights of passion and intensity with their sophomore album, Vainglory. This thirteen-track set captures the raw yet beautiful tone of heartfelt, brutally honest emotion that.. These indie faves will rocket to the top of your playlist! 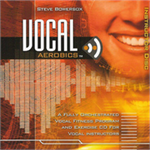 Ranging from contemporary folk and modern worship to rock 'n' roll, this electrifying release features "Breakaway" (Ronnie Freeman), "Your Life Is Love" (Tenth Avenue North), "Bless the Lord"
Dr. Steve Bowersox is the Executive Worship Leader at Christ the Redeemer Church in Ponte Vedra Beach, Florida. The founding Executive Director of Integrity Music’s Worship International and also an instructor and musician with the Seminars 4 Worship. The first studio album featuring Times Square Church's Adult Praise Choir, offers original and freshly arranged contemporary gospel choir songs that joyfully proclaim Jesus Christ as the only source of life, redemption, hope and strength! 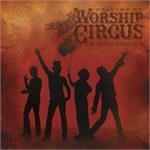 "Welcome to the Rock 'n' Roll Worship Circus", a 60's flavored blend of congregational, humorous, and personal worship songs. 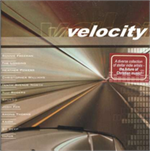 The album was nominated for 4 GMA Dove Awards, and won the award for "Best Art Packaging"
This Proformance accompaniment track includes printed lyrics and a demonstration plus accompaniment in high (E), medium (C), and low (Ab) keys, with and without background vocals. Not original artist. 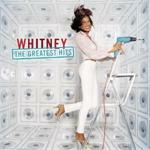 Whitney Houston is a phenomenal singer, and nothing hammers that fact home in grander style than this unconventional greatest-hits package, which splits the songbird's awe-inspiring work into two discs. This two-fer from Curb features a pair of CDs by Christian and inspirational singer Debby Boone: Friends for Life and With My Song, originally issued in 1987 and 1992. Highlights among the 22 tracks include "Sweet Adoration," "Morningstar,"
Join the Women of Faith movement and Gateway Worship team for a soul-stirring Revival! Captured live at sold-out events across the country, this eleven song set includes "Be Lifted Higher," "Forever Yours," "No Sweeter Name," and more. 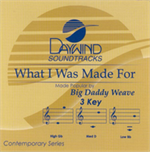 Studio Series 3 Key features the digitally mastered accompaniment track from the original multi-track master recording, providing you with professional accompaniment. Includes the demonstration as recorded by the artist. Kingsway Music presents the Worship Devotional series, a dozen monthly music devotionals featuring two CDs containing specific songs paired with prayers and reflections for each day. Worship Together Platinum is a powerful collection of fifteen of the most popular praise & worship songs being sung today in churches across the country. This special collection also includes a DVD with 8 videos from some of today's top artists. Fans of Hillsong United, Skillet, and Evanescence will embrace the guitar-driven sound and fresh vocals of these rock-infused youth movement worshipers! 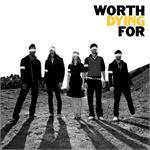 Includes "Unite," "Revolution," "Die to Live," "Holy," "Consume Me Now," "All We," "Crazy,". 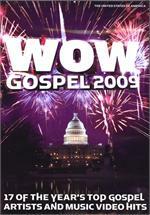 Encourage your soul with the songs that reigned on gospel airwaves throughout 2007! This roof-raising compilation features "Looking for You" (Kirk Franklin); "Blessed & Highly Favored" (The Clark Sisters); "Yesterday" (Mary Mary); "Encourage Yourself"
The most in-demand album of the year is back! For over 11 years the Christian music industry has partnered together to bring fans the most impressive collection of hits available anywhere. 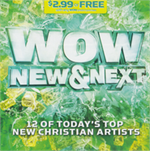 WOW Hits 2009 brings you 30 of the top Christian artists and hits. WOW New & Next is a showcase for some of the best developing talent in Christian music. This twelve song CD featurings fresh new music from Dara Maclean, Royal Tailor, For King & Country, Andy Cherry, and others. 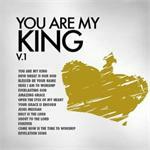 Perfect for personal or family devotions, this uplifting collection will lead you deeper into worship. 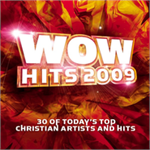 Includes "Undone" (MercyMe), "Redeemer" (Nicole C. Mullen), "My King" (Planetshakers), "On My Knees" (Jaci Velasquez), and more.